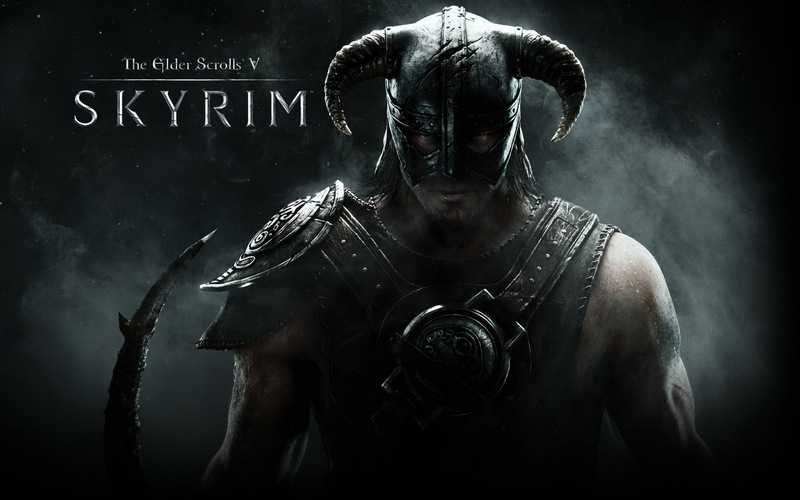 My name is Froseph and in this blog I am going to the land of Nordic Vikings and Dragon Clans in Bethesda’s most recent addition to elder scrolls franchise Skyrim. Now as there are a lot of things to cover lets start with the biggest part of this review first the mechanics. Now straight out of the gate things stamina. This is a mechanic that I am ok with for running but for Special attacks with weapons this should be abandoned. It is archaic and no longer needed. Now the Skill tree, which for the most part I like felt a bit incomplete and for many reasons. The main one being that it is these skills that judge your level. Whether getting skill ups in weapons or in blacksmithing it doesn’t matter. Also I feel a general skill tree should have been put in place that only opened at specific levels not on skill. An example of a ability in that tree would be the ability to carry 100 more pounds which is in the stealth tree. Which thanks to my example allows me to segway in to how weight which is a very interesting mechanic becomes a hindrance in this game verses the fallout series where it was easily accepted. The reason for this is simple in fallout weapons and armor could be used to repair others of that same make and model. However Skyrim does not have this feature and thus you quickly fill your bags with the same items over and over as the mobs tend to match your gear. Also as dragons begin to become more prominent the dragons bones and scales are heavy so having a pack mule… I mean a companion becomes essential to game play. Weapons in this which are a huge part of the game look very nice and can be enchanted with charges to have fire or ice and can even steal the souls of your victims. The weapons are all your standard fantasy regiment and have nothing that you would write home about as new or unique. However I noticed as you start to get higher the shield becomes king it seems that a adjustment of the shield mechanics was a definite need. Magic which had a strong start dies off in the end and feels like it just doesn’t have the power needed to allow you to be a solid caster, which is sad because I found the idea of being a two handed caster fun though I found a yet again a shield becoming a needed offhand item. Mounts and houses I am really not going to talk about these more so then the fact that the damage mechanic is screwed up… as my horse single handed tanked a dragon and then proceed to die to a wolf some time later after a reload I later killed it from dropping off a small ledge that apparently was just slightly to high for him. I realize they are trying to add a real life gravity system and damage structure. However if Mr. Ed can tank a dragon on, stand in the fire and hold him from landing to death. I don’t think jumping from a rock that is just slightly above his head is going to kill him. Status effects, which need to have a way to be depicted more then everyone in town telling you that you look sick or need to lie down. Because frankly for the first 3 hours I ran around just thinking that was a odd thing for people to say. Only when I opened the map which also long and behold holds your journal so you can chose the quest you go and complete did I find something that told me I had a disease. Which after leaving the first town takes about 2 seconds to get rid of once you find a temple. So a ui effect a slight red outline on the border of the screen or anything would be helpful. And finally the inventory system which is also kinda a mess because the sorting leaves much to be desired. However it is not the worst I have seen in a game so I will gloss over it. Now one of the mechanics I really liked was the favorites feature, but again it is semi broken as when you have 2 of the same weapon it can not distinguish and you have to open your inventory and manually equip them. On to the plot which after character creation with such detail as to even ask you how much dirt should be on your face. Your character is found sitting in a cart forced to listen to some convicts who whine about being in the wrong place at the wrong time and how the guy in the back with a gag in his mouth is a threat because he has the voice. However like most Bethesda games the moment they force you through the starter plot it fades in to the background as nothing more then something you hit upon once in a great while. Due to the fact of side stories and rand quests. Graphic wise nothing special I ran it at the best settings and honestly was not impressed by its engine and I notice some of the fun Bethesda glitches of items, npcs and mobs. Though these are nothing new if you played any of the fallout series. Music in this game is well done and very catchy… honestly I got in fights more often then not to hear the battle music. So it is refreshing to hear this kinda music and just be able to enjoy it. It gets you pumped and just has a good overall feel. In conclusion this game is a pass for me while I feel it has its great moments I could have easily found them in other games. Now for anyone that loves sci-fi this idea is very similar to Stargate SG-1 or Stargate: Atlantis. However instead of going out among the stars with multiple Stargate’s and a new world every episode, you get a singular gate that goes to a magic fantasy world with a ruling Empire know as… “The Empire”! Not very imaginative I know but The Empire is cruel and intelligent and willing to do what ever they think is needed to maintain power and win (Much like the goa’uld). However the “Special Region” is very much fantasy based, with dragons, magic and yes even Catgirl’s. While the JSDF helps to defend the people of the “Special Region” many of its people have a sense of awe and fear to the technology of Earth as it is so far advanced it’s indistinguishable from magic. Many think them to be powerful wizards or gods after a run in with a very powerful dragon. Though back on earth the gate is not a secret and so many of the the worlds governments are clamoring to get to the special region and see what new resources they can get their hands on. 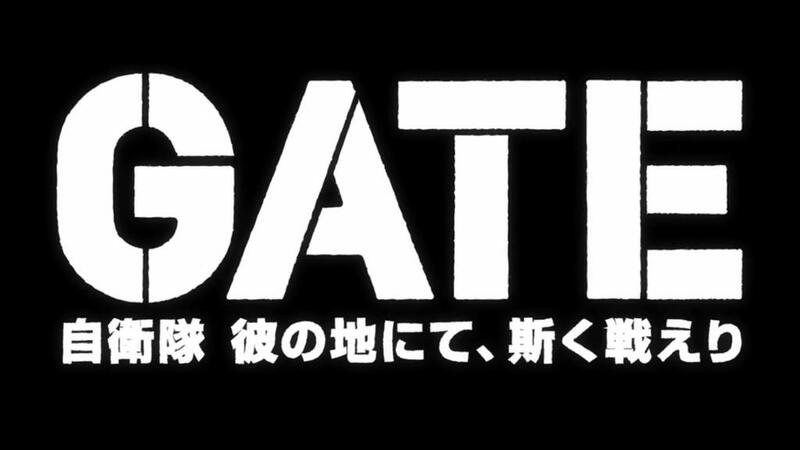 As well as having to deal with their own government trying to make the JSDF look bad. However their saving grace is the other governments don’t really know everything that is happening on the other side so many of them are sitting back to leave Japan to take the risks. This show has the small bits of many different genres so it is open to a large audience to enjoy. The characters in this while a bit cliche in the standards of the fantasy or militaristic genres however even with the moments of seriousness it is still funny and light hearted. They did setup a bit of a harem but it is not blatant and definitely is good natured. It has a big main cast as Itami (The protagonist of the series, Itami is a 33-year-old otaku and JSDF soldier), Rory Mercury (A 961 year old demi goddess/apostle of Emroy (God of death, war, crime and madness)) Lelei La Rellena (A 15 year old human Sorcerer’s Apprentice) and Tuka Luna Marceau (A 165 year old Elf who was the sole survivor in a attack on her village by a fire dragon) as well as Itami’s squad the Third Recon Unit with Shino, Takeo, Akira and Mari. That is not including the secondary characters in the “Special Region” and on Earth. Now I could give you a run down of the squad members and the secondary characters but it is better to just go watch it and enjoy. I enjoyed it and can’t wait for season two. I give it two thumbs up or 5 stars or 1 Time Lord depending on the season. 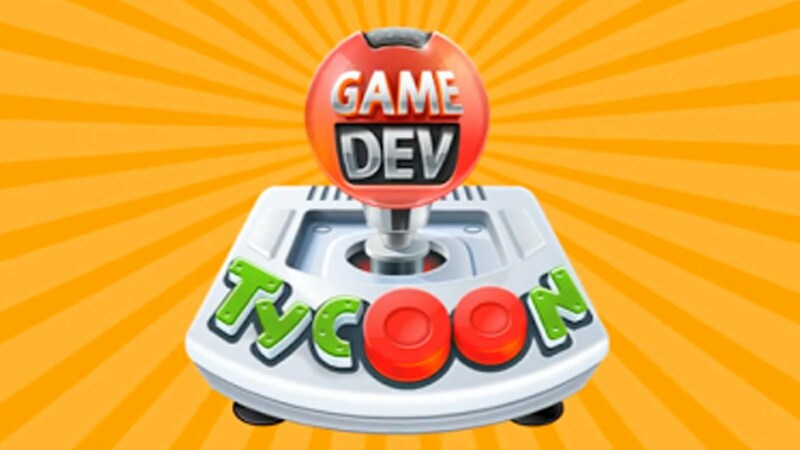 I actually will be taking a break from the hustle and bustle of the AAA high budgeted games and instead take a look at a game listed under the project green light section of steam, that game is Game Developer Tycoon. Now this game doesn’t have cut scenes or flashy graphics but is instead made by greenheart games. Now the game starts off in the 1980’s as a lone game designer sits in his garage with a classy and stylish Delorean under a car cover in the back corner and works to create a game using the random genre’s and game classes to combo all to get that illusive hit video game. Now this sounds simple right… Wrong each section of the game creation is setup with sliders that allow you to choose which aspects you focus on such as Graphics/A.I./World Design. Now each genre and game style like Simulator, Action, Rpg, Adventure and Casual have aspects that are important to them and aspects that aren’t. Now as you play you will do research on your past games to learn what you did right and what you did wrong. This will better help you to focus your creations. Along those lines you also have to choose which platform you release your game on Computer, Consoles, phones and much more. As you progress research will added things such as age specification such as y for young E for everyone or M for Mature. Graphic upgrades, Better sounds, the ability to save your game, multilayer and open world. These when used with specific games make them do better. Now just like any game where you make money you have to spend it to upgrade your situation so moving out of your garage and saying goodbye to your Delorean you purchase a office allowing you to add more people to your work force and allowing you to make bigger games now this requires collaboration with them. Now up till this point you really just slapped together games but now this is when Technology and Design play a bigger part. When you Hirer them you will be able to choose weather they are Technology oriented, Design oriented or a mix of both. The nice thing is you can play completely through and then do another game and have all the knowledge of what are good or great combos Like for example City and Simulation Rated E for Everyone… Sound familiar it should that is equivalent to SimCity. Now graphic wise this game is very simple and works for it, the mechanics are straight forward and prompts are easy to understand. Mechanics wise once you play for 30 minutes you understand the basics which will allow you to enjoy the game and music for this is simplistic and just a step above elevator music which honestly is better then most simulators give you. So overall it has a great replay value and a fun little story line. I would highly suggest this if you like a game that is addicting but allows you to stop at any time. The best thing is game has heart, these guys are also smart and developed a cracked version to be uploaded to popular places like Piratebay and other torrent sites that allowed a person to play the game but slowly the designer in game would have people pirating their games until finally they go bankrupt. This was Rank level: Genius to me and gave me a great laugh and just adds to the story of what makes this game so great. My name is Froseph and in this review I will be reviewing Tomb Raider, Now this is a far cry from our heroins PlayStation roots but Lara Croft gets a shiny new updated both to her graphics and to her game mechanics putting a new spin on our pistol wielding vixen. Now this game is a prequel to the original Tomb Raider games placing Lara Croft just out of university and we join up with her just as she is striking out on her first archeological dig The game fades down to a shot of the ship called the “Endurance”. 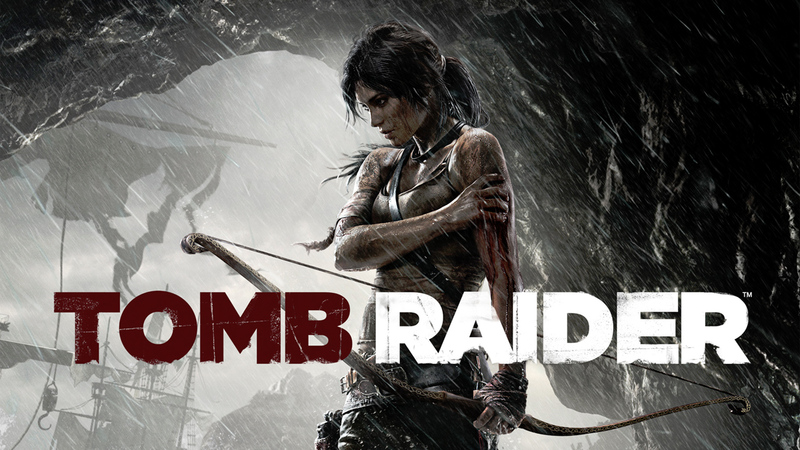 Lara isn’t her usual lone wolf self as she is following the lead of a seasoned archeologist a Dr. Whitman. Lara does some research and feels that they are looking in the wrong areas and joined by best friend from university Sam, they bring it to the attention of Dr. Whitman who quickly blows them off but the crew of the endurance the captain, who is an old friend of Lara’s dad named Conrad Roth. Who I feel most closely resembles Hannibal from the A-Team decides that they will follow Lara’s lead and enter the dragons triangle. After a huge storm and a very dramatic ship sinking cut scene Lara ends up beached on a mysterious island hoping to find a way for herself and the crew to be rescued. Only to realize they have landed on the island of Himiko the Sun Queen. Now I am not going to hit any major plot points of the story as I feel that it should be experienced first hand and in a way the plot flows better then most movies. However before I go in to what I like about this game I must say that the one thing I feel this game is lacking is the puzzle aspect of the original tomb raider games. Now while I understand a bit of the reason for this, I feel it is a bit of what the tomb raider franchise is built on. Now they do throw you a bone and throughout the game. They have optional tombs that can be explored, however they feel as if they have are way to basic so that you can move past them quickly and back on to the plot of the game. In these tombs you will find maps of areas and upgrades to your weapons as well as a brief history of the island. Along Lara’s journey you will also find stand alone relics some will be fake, others real and one of the things I enjoy about this is the relics have real historical roots. Now while this game is a pretty straight forward you can take detours to look for relics, gps coordinates and side objectives, such as lighting fires of statues or shooting hanging lanterns you come across. All of these will gain Lara experience which will allow you to buy skills from carrying more ammo, fight dirty, jump farther all the way to taking less damage from weapon fire or fall damage. Lara’s skills are not the only thing to upgrade along the way you will find the island is full of junk from the destruction of many other ships, so you will find boxes of salvage allowing for you to upgrade your 4 weapons the bow, the pistol, the rifle and the shotgun. Now I feel these are spread out a bit to far, however that being said it does give you a feel of accomplishment when you finally get them. The weapons also have uses to get passed some previously unassailable barriers so back tracking will be needed and can be done from camp fires that have quick point access. Now I find the music for this game to be one of its highlights, and whoever composed the soundtrack for the game gives you a music that matches the moment. So whether you feel triumph or sadness or just a feeling of urgency to kill the bad guys. The music never disappoints and this along with the graphics which flow seamlessly between the cut scenes and game play allows you to feel enamored with Lara’s trials and tribulations so much so that when you die you actually feel bad and try harder to avoid dieing in some gruesome and sometimes very graphic ways. Now before I give my closing thoughts I have to touch on the multi-player because rarely does a game have a both a good single and multi-player system. That is the case with Tomb Raider as I found myself playing the multi-player function, and trying to collect the pieces to unlock better weapons and skills while trying defeat my opponents in pvp. I will admit the changing of factions between each round can get confusing at first but once you figure out that you have to equip both factions with the weapons and skill you want it is fun and can be easily forgotten. In conclusion Tomb raider is a game worth getting, The game play, story and graphics alone make it something you will enjoy but add in the multi-player and even if you only want to play through it once the multi-player alone will bring you back and make this a purchase you won’t regret.